Was so looking forward to reading this and it didn’t disappoint… I was gripped! Hopefully your first of many visits to Boston. Thanks so much for the kind words, Louise — love the city, and definitely have my sights set on getting back. Here’s hoping the B.A.A. doesn’t tighten its qualifying standards anytime soon! Mike, love the post! The marathon was, of course, THE marathon and was an incredible race in and of itself. But really made our trip to Boston unforgettable was the experience its entirety, especially spending time with you and Katie, but also seeing the legions of cheerful and encouraging volunteers and spectators, catching up with old friends and family, and Fenway! Just amazing how the entire region embraced this event. Hope to be back someday. Thanks Paul! Agree everything about the weekend was amazing, but having you, Jenny & Sandy (not to mention hordes of raucous spectators) to share it with was absolutely the best. And appreciate Jenny documenting the experience in real time, her Wellesley video is so good. Congrats on punching your ticket for Boston 2017! Great post that captures the essence of the world’s premier footrace. Temperatures were really deceptive on Marathon Monday, and I personally know many athletes who either did not finish, or spent some time in medical tents. The warmth and wind slowed us all down. But heck, it’s Boston! It’s a privilege just to run the hallowed course. I don’t so much mind the different color schemes they have for the jackets each year. I just hope I get one in the classic color scheme one of the years, so I can have all Boston finish years embroidered on that one jacket (like some jackets I saw on runners at the expo). Well said — “privilege” was very much my mindset throughout the weekend. Chuck mentions below that (according to his source) a significantly smaller percentage of runners re-qualified this year than in the “typical” year. Which I view as a positive, since it opens the door for many first-timers to qualify for next year’s race. And yes, complaining about the wind & weather while you’re running Boston feels akin to grumbling that the carpet isn’t plush enough in the Oval Office. Appreciate the support, Krishna — congrats on another strong showing on the running world’s biggest stage! This might be just me being a grump, but they shouldn’t allow requalification at all. Go run another race and earn the privilege again. This recursive feeding of fast people back into the race is a bummer to the rest of us! Absolutely agree, I think this — rather than tightening qualifying standards — is the single best solution to ensure that runners who beat their qualifying standard (their official standard, not their adjusted “BQ – 2:28” standard) have a legit shot at running Boston. 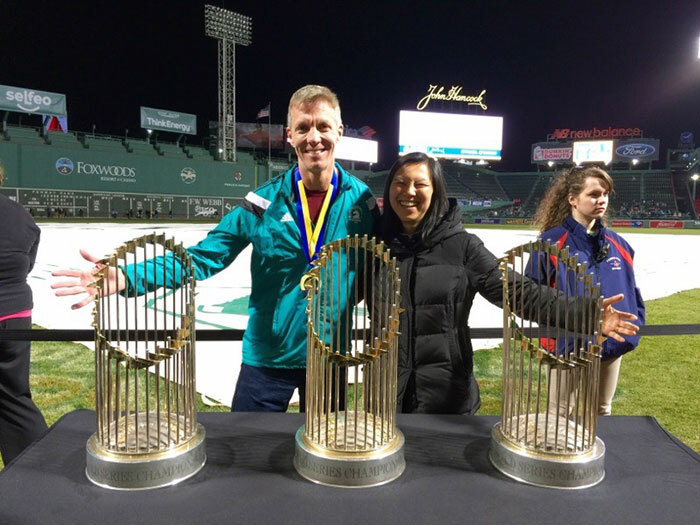 And it feels like an easy way for Boston to stimulate the running economy, by feeding runners in search of BQ times to all the other Boston Qualifier events. Honestly, the experience of Marathon Monday is so powerful that I wouldn’t be miffed to see another deserving runner get their first shot to run Boston next year, before I get my second. And being able to throw all your racing eggs in a single basket year after year doesn’t really sound like the mark of a Boston Marathoner, does it? I wish I had gone to Boston with you. Actually I wish I had qualified and run Boston with you. Maybe next year. Boston was the first marathon I did where there were spectators screaming and cheering the whole course. And I was middle of the pack, nowhere near the front. Where people would go out of the way to congratulate me when they saw my race shirt. I heard from an unimpeachable source (random running friend) that usually over 60% of people re-qualify for Boston at the race, but this year less than 20% did. It sounds like it was a tough day for most people. You forgot to mention that not only did Dad grow up a few hundred meters off the course, he used to walk down there every year with his Dad and watch the runners go by. You know he would have loved to have been there. He would have been so proud of you. I know I am. What a coincidence, we were wishing you’d run Boston this year too! But then the weekend would have been perfect, and what would we have to look forward to on our next visit if this one were perfect? So now we both have a reason to get our act together and qualify at the same time — and I’ll bet we could get Sandy to join us next time, too. Just a thought — do you think any of the elites ever stop for a kiss from the Wellesley women? I was surprised to hear after the race that so many people struggled — especially since it wasn’t that hot or that windy. And that’s a telling statistic (especially if it’s true) on this year’s re-qualifying rate. As I mentioned above, I’d be happy to see a lower qualifying rate, since that opens the door for more first-timers to qualify for next year’s race. And the more people who can run & experience Boston, the better. I don’t recall too many details from 2001 when Dad and I were there to watch you run, but I do remember him being like a kid in a candy store — more spry than I’d seen him in a while. Meanwhile, I was just trying to stay upright after running those five miles through Wellesley with you. And having run through Newton, I now realize Dad wasn’t kidding when he told us his walk to school was uphill both ways. Thanks Chuck, now stop readin’ & writin’ and start runnin’ — we have a race to qualify for! I love the fact that you called your first Boston Marathon your “best worst marathon.” Clearly, you focused on the “best” part of it, soaking in the whole experience, before, during, and after the race. Congratulations!!! I remember a woman from our Antarctica trip calling that race at the time her “best worst marathon”, and it felt appropriate here as well. To focus on anything but the positives in Boston (aside from the Celtics losing!) would have defeated the purpose — more than another 26.2-mile race in another big city, Boston really is an all-day celebration with the runners as its focus. I’ve often wondered if the allure of Boston somehow fades once you’re faced with the actual hills, humidity and you know, 26.2 miles of running. Berlin felt like that for a bit — I had spent so long dreaming about the race, knowing it would be fast, salivating at the weather forecast, and then once you’re finally there, you have to face the music. That said, I still loved Berlin, but it wasn’t a bed of clouds. Boston though, you have to snarl and fight your way just to get there, which makes me feel like so much of the experience and the accomplishment is done by the time you even start. But then I read stories like these and it makes me realize that starting, running, and finishing Boston has its own ineffable mystique. You dream about it for so long, and then magic happens in one way or another. And it looks like Boston might beat out Chicago for hospitality of spectators? You know me and my inveterate bias towards the Windy City’s marathon, but I do have to admit that, anecdotally, Boston’s crowds seem to revere this event on a higher level. And why wouldn’t they? It’s older, tougher, and recently acquired something of a battle scar across its 26.2 mile course. It was always personal, but now it feels like it’s part of the national identity. Of course, I wish I could have shared some real estate on this blog post by running myself, but that will have to wait for another year. Glad to hear that there won’t be as many automatic re-qualifiers this year though (if I’m allowed to be selfish). Looking forward to reading about how this race affected your performance at Big Sur. 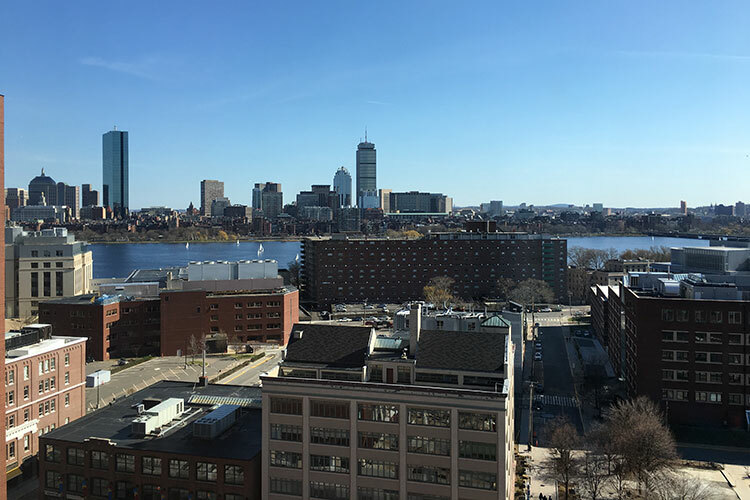 Admittedly I had some concerns that the reality of Boston may not live up to all the hype, but those concerns were swept away pretty quickly once we touched down at Logan. Unless you’re the most jaded runner on the planet, it would be tough not to fall under the spell of Marathon Monday — it would be like walking around Disneyland telling your kids how, inside those suits, Mickey and Minnie are really just short people making minimum wage. Even though I ran NYC more recently than Chicago, I still remember Chicago first when it comes to spectator awesomeness — most of what I remember about NYC is a) the trek to the start, b) concrete overpasses and c) getting kicked out of Central Park at the end. But although Chicago does seem to embrace its marathon, I didn’t get the sense that the city owns the marathon the way Boston does. Because you’re right — Boston has 81 years on your hometown, and the marathon is an indelible part of who Bostonians are. Plus, it has the unfair advantage of falling on a statewide holiday! Thanks for reading & weighing in, Dan. I don’t envy you your current BQ standard in the “crazy f@*&ing fast” age group, but Boston’s not an “if” but a “when” for you… and when the time comes it’ll be that much sweeter for the wait! Boston is very different from Berlin. 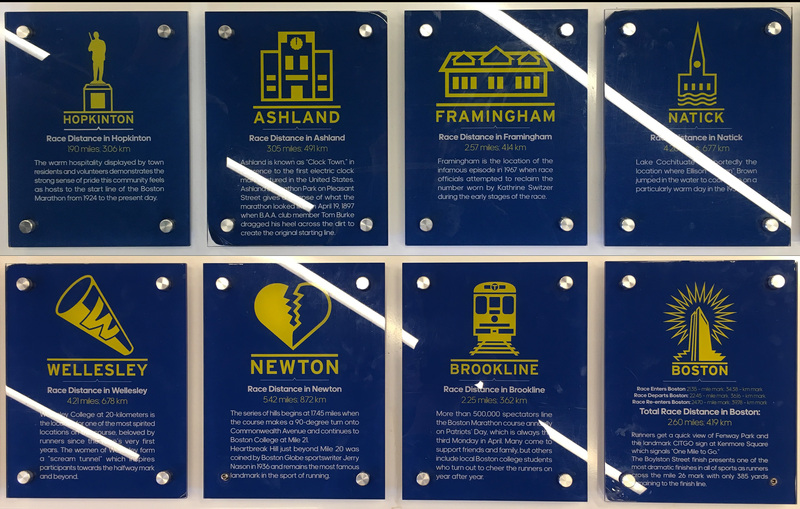 You’re right that a significant part of what makes Boston special is each runner’s journey to get to the starting line. But then you’re there, surrounded by very fit athletes who qualified with about the same time as you did, and you’re pumped to really give your best on the world’s greatest stage. I love both Boston and Chicago, and the throngs of spectators that make both races memorable. 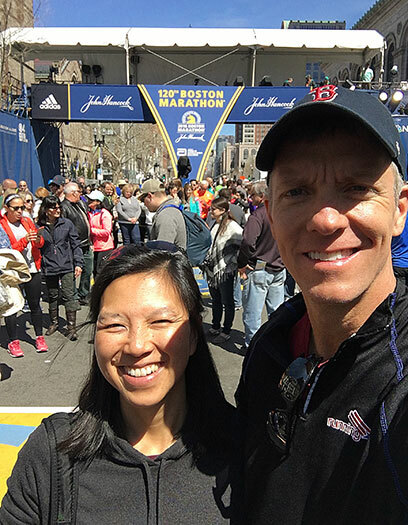 But there’s just something about the spectators all along the Boston course – the event is deeply embedded in their bones, and you feel that each is rooting for your success. As runners and as human beings, our opinions of any race are necessarily subjective and influenced by our own performance on race day (as measured against our expectations). As someone wise pointed out – we see the world not as it is, but as we are. 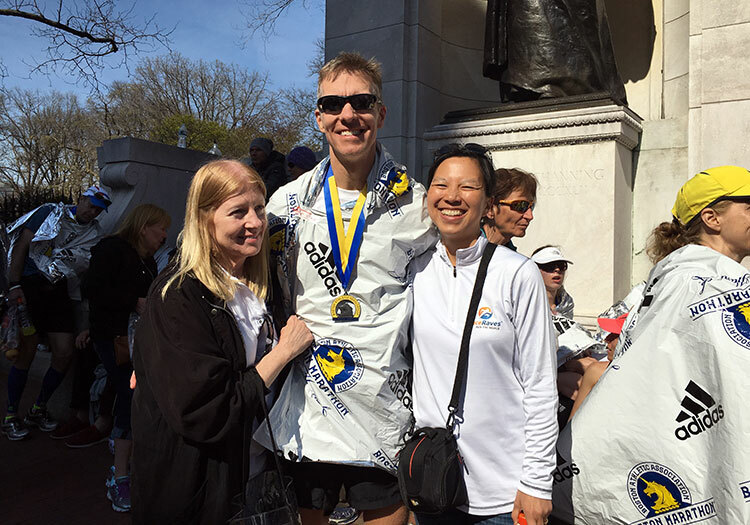 Is it possible to reduce the Boston experience to just another grueling 26.2 ? Sure. And as with all marathons, after 23 miles, I was ready for it to be done. Yet it is hard to experience Boston and not be drawn to what it represents. Again well said Krishna — I always try to dissociate (as objectively as possible) the race itself from my performance, and for some races that’s tougher than others. But Boston made it easy, since the race itself meant so much more than my individual performance. Hopefully there will be a next time — but even if I were to PR and requalify on Marathon Monday, I’d be hard-pressed to enjoy & appreciate the entire experience any more than this one. I’ve always concluded from your blog (Kobayashi Maru notwithstanding) that you and I have similar attitudes toward racing: get from start to finish asap. That said, yeah, Boston was the first race where the slow & steady suffering really didn’t dampen my enthusiasm for the moment (ok, maybe just a little). And I honestly believe the first marathon you’re able to run fully healthy is the first time you qualify for Boston — you’re clearly due your share (and then some) of training karma! Thanks, Angela. Thanks and congrats, Andy — glad the day worked out well for you, I envy you your intimate knowledge of this course. Here’s hoping I have the chance to join you out there again soon! I read this weeks ago, but haven’t had a chance to comment until now. First of all – awesome post. I may have teared up at times. Second, I’m glad Boston lived up to the hype. The thing that really stood out were the amount of spectators who came out just because it’s BOSTON…in contrast to the throngs at MCM who are only there to cheer on their specific runner. Congrats on focusing on the positive and pushing through even when the going got tough! Thanks for the kind words, Jen—there’s so much to the Boston experience that I’m glad I could bring an amazing weekend to life in some small way. And the contrast with MCM is interesting, as a similarly huge urban race with crowds at every turn. In fact, your own experience at MCM is a big reason it hasn’t been high on my priority list. Now the goal (and the challenge) is to get back to Boston so I can run it again without feeling like a first-time marathoner! Reading this makes me want to try. You really captured the emotion and the senses of running the races so well. Excellent recap, thanks for sharing. Thanks so much John, and thanks for reading! I’d say YES, if you feel like you have a shot at qualifying, it’s well worth the effort. 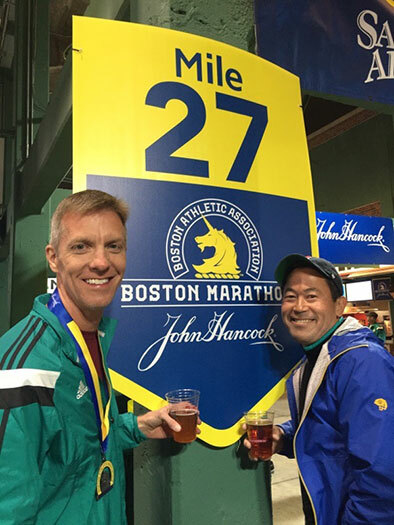 Even if you don’t hit your qualifying time, you can still say you gave it your best shot and register as a charity runner to support one of Boston’s many worthwhile causes. Bottom line, from one avid runner to another: no regrets, get there by any means necessary. Good luck!